Go green with affordable, quality solar power, solar installation and solar hot water systems Brisbane, Townsville and Queensland. Apollo Solar provides quality Solar Power to Brisbane, Townsville and all of Queensland. Enjoy the many benefits of one of the world's best clean energy sources with solar power in your home or business. Now, benefit from free solar installation and more. As well as solar power, we also provide solar hot water sytems to homes and businesses. Are you looking for a green alternative energy source that will save you money on your utility bill? Contact Apollo Solar for an obligation-free quote. USE OUR CALCULATOR TO ESTIMATE HOW MUCH YOU CAN SAVE, BY INSTALLING SOLAR POWER! Step 2 - How much of your power consumption, do you estimate, is currently or can be used through daytime hours? 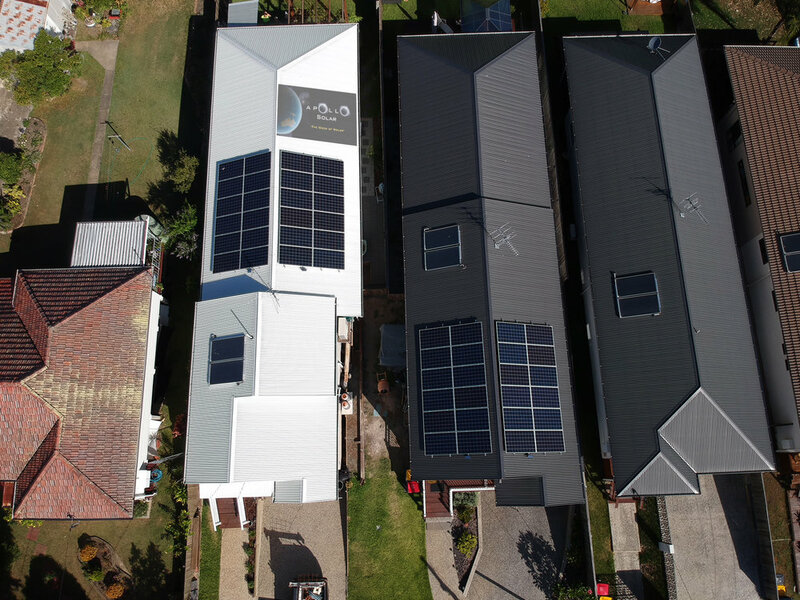 We provide quality solar power systems and solar hot water system solutions to Queensland homes and businesses at affordable prices. We also offer Solar Hybrid and Off-grid Battery Systems. Since our inception in 2010, Apollo Solar and its partners have assisted over 4,500 customers reduce their energy bills. We have completed over 4,500 solar PV system installations, installed over 60,000 solar panels, and approx. 7000 inverters (including Micro Inverters). Our reputation is important to us, and we strive to assist our customer reach their energy efficiency goals, whilst sticking to a budget that suits them. We pride ourselves on workmanship and honesty in an industry that often has anything but. Our reputation is important to us, and we strive to assist our customer reach their energy efficiency goals and within a budget that suits them. It's fast and it's free. Simply fill out the form below and we'll be in touch to discuss your requirements.